(CNS): Less than a month old, Freddy Mahoney, born three months prematurely, is fighting for life in a Miami hospital after surviving a rare disease in the womb which took the life of his identical twin and caused him to lose his leg. Freddy was born on 14 July along with his brother Jake, having only reached 24 weeks and 6 days gestational age. They had been suffering from Twin to Twin Transfusion Syndrome, and unfortunately a few hours later Jake passed away. With medical expenses having the potential to run up to $800,000 and only a part it covered by insurance, some neighbours of Freddy’s parents have decided to help by raising funds, starting with a garage sale on 13 August. Twin to twin transfusion syndrome (TTTS) affects identical twins who share a common monochorionic placenta in the womb. The common placenta may be shared unequally by the twins, and one may not get the necessary nutrients to grow normally or even survive. All members of the public are being encouraged to support the sale, which will be held at Southhampton Gardens, located across the bypass from The Strand, from 8am – 11am, and all proceeds will to be donated to Freddy Mahoney. People can also donate funds to Andrew Mahoney at his Bank of Butterfield CI savings account; number 1361130510026. Brady and Gladstone have planned a bingo night and silent auction to raise money for the cause as well, provisionally set for 31 August at Tiki Beach. Alan Brady can be contacted on 323 5281 or alan.brady2@gmail.com regarding the donation of prizes and funds for both fundraisers. 16-year-old Joshua Dilbert is a CNS summer intern. (CNS): As the police continue to prioritise the missing person investigation into the possible whereabouts of Kerran (KerryAnn) Baker, senior officers said that some new information about her before the day she disappeared had been revealed to the police, opening up new lines of enquiry. However, DS Marlon Bodden and CS John Jones expressed their frustration that the police were still no wiser on the twelfth day of Kerran’s disappearance about what happened to her after she left a local supermarket on 30 July at around 7pm. “It is frustrating that nothing of note has come in that assists us with what happened to her after leaving Foster’s on Saturday evening,” Jones said. With no specific evidence or concreteleads on the missing women, Bodden and Jones both spoke about the continued efforts to follow up on the snippets of information that were coming into the police about the days leading up to her disappearance, as they hosted the regular daily media briefing about the investigation. “We still don’t know where she is but we will continue the investigation and continue to make appeals to the public about her whereabouts,” added DS Bodden, who has strategic oversight of the enquiry. In the face of mounting rumour and speculation, the officers stated that while many people had been interviewed during the course of the investigation, no one had been arrested in connection with Kerran’s disappearance. Again the two officers confirmed that there was no evidence that Kerran had arranged to go out and meet anyone on the night she was last seen. All indications were that she was preparing a meal at her home, but they said they could not rule out the possibility that she was expecting someone. Given that the disappearance of Kerran comes some six months after that of 35-year-old Anne Evans, who went missing from the George Town landfill in late January of this year, the police stated again there was nothing to link the cases. Nor was there any evidence of any kind of serial crime, Bodden reassured the community. The officers noted that the police had not closed the Anna Evans case but after completely exhausting all lines of enquiry on that investigation, the officers said that there was simply nothing new for them to go on. “The lines of enquiry have simply dried up,” Bodden explained. The senior officer acknowledged that women may feel afraid but he said fear breeds fear and leads to inaction. He advised women not to be afraid but to be aware of their surroundings and examine their own safety. “We shouldn’t take safety and security for granted,” he added. 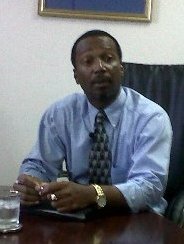 John Jones also noted that while the abduction or murder of women was not unheard of in the Cayman Islands, it was still very uncommon. Updating the press on the latest searches, the officers revealed that they had continued in the Frank Sound, South Sound and East End areas on Wednesday but the investigators spent Thursday reviewing the searches so far to cross check what they had learned. DS Bodden explained that during the searches officers were looking carefully and methodically for anything, from fragments of clothing to broken jewellery, that could indicate a struggle had taken place. He also said they were searching for any evidence of shallow graves. Emphasisin againg the seriousness of the investigation Bodden reiterated the appeal for information from those people in the community who know what has happened. Anyone who may have information on the whereabouts of Kerran ( Kerry-Ann) Baker is asked to call any of local police station, the crime hotline 949 7777 or Wilmot Anthony Kerran’s father 321 4271 or Crime Stoppers at 800(TIPS) 8477. (CNS): A property which is under construction on Reef Street in the Newlands area was set alight in the early hours of this morning which has triggered an arson investigation. At 05:20 on Thursday morning (11 August) the emergency centre received a call that the house was on fire. Police and Fire Service attended the scene where three small fires had been set. 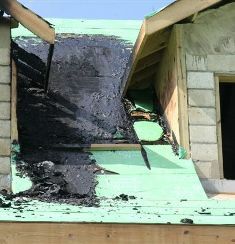 Police said that one was on the ground floor and two on the first floor which caused some damage to the roof. There was no sign of accelerants, and the likelihood is that materials already present on site were deliberately set alight with a match or lighter. No one was present in the building at the time of the fire. Chief Inspector Mike Cranswick, Head of the Criminal Investigation Department stated that someone is responsible for this arson and the police need the help of the community to identify the person or people who are responsible. If there is anyone out there that knows who set this fire the police said they wanted to hear from them. “Even if you think it’s insignificant we still want to hear from you about what you know,” the police stated. Should you have any information of this crime or any crime taking place please contact the George Town Police Station at 9494222 or any Crime Stoppers at 800(TIPS) 8477. (CNS): David Frederick, VP of the Cayman Islands Football Association, has been named as one of the 16 officials from Caribbean football associations who have been charged with breaching FIFA rules on ethics. This comes in the wake of the bribery scandal in which Mohamed Bin Hammam (left), who has now been banned from FIFA for life, allegedly offered Caribbean officials envelopes stuffed with $40,000 in cash to back him against FIFA President Sepp Blatter. Football's world governing body has now announced that it has opened ethics proceedings against 16 Caribbean Football Union (CFU) officials in regard to apparent violations of the FIFA Code of Ethics in connection to a CFU summit held in Trinidad & Tobago on 10 and 11 May this year. On 26 July FIFA gave the officials from the CFU 48 hours to come forward with information about the allegations. Judge Robert T Torres, a member of FIFA's Ethics Committee, has been entrusted by the committee with supervising and directing the investigation, FIFA has said. The Ethics Committee will contact the 16 officials to arrange further interviews in connection with these proceedings. “It is important to note that the investigations are still ongoing, and that it is therefore possible that further proceedings could be opened in the future," FIFA said in its statement. 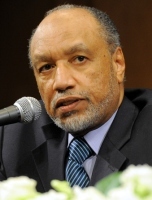 Bin Hammam (62) told BBC Radio 5 in July that his life ban from football by the governing body is "revenge" for standing against Sepp Blatter in the presidential election. He said he "did nothing wrong" and will now take the case to the Court of Arbitration for Sport in Zurich. (CNS): More than a dozen inmates at Northward prison received good news recently when they received their result from numeracy exams they hadtaken under the penal system’s rehabilitation programme, officials have said. The United Kingdom’s City and Guilds (C&G) examination centre recently sent the results from the July examinations and one prisoner aced the Numeracy Stage-Two paper, earning 100 percent, while another five passed Numeracy Stage-Three two of them with distinction. 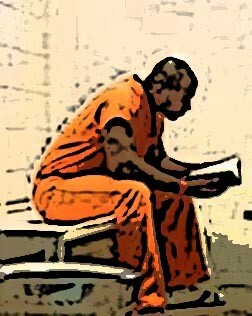 Meanwhile another seven prisoners passed Level One English, five at the first-class level. (CNS): Members of government and representatives from the Dart Group will be in Bodden Town this evening for the second in its series of public meetings to talk to local people about the For Cayman Alliance. Elements of the deal have a direct impact on the people of both West Bay, where the first public meeting was held, as well as Bodden Town, the district which is going to be home to the new landfill. At the last meeting government representatives spoke for well over two hours about the elements of the project, the Dart Group in general and the changes that will directly impact the community such as the closure of some 2000 feet of the West Bay Road. The public meeting starts at 7:30pm at the Bodden Town Civic Centre and everyone is invited. At the last meeting the premier indicated that some of the cash which is being given to government by Dart as part of the complex deal which involves land swaps, investments concessions, the development of a new resort as well as public infrastructure projects, may be used to help people struggling to pay their mortgages but he did not spell out how that would work. (The Guardian): David Cameron has signalled a new drive against gang culture following police reports in Manchester, Salford and London that a nucleus of the rioters were organised by inner-city gang leaders. Senior police have briefed MPs and political leaders, including Cameron, that well-known gang leaders were at the centre of the second and third day of the looting, even though the majority of rioters were not gang members. 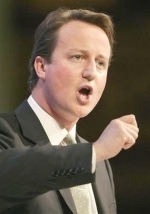 Cameron told MPs "gangs were at the heart of the protests and have been behind the coordinated attacks". He has also asked the home secretary Theresa May to work with figures such as Bill Bratten, the former chief of police in New York and Los Angeles, on how to combat gangs. The announcement of a new drive is an admission that the government approach has so far been ill co-ordinated and under-resourced. 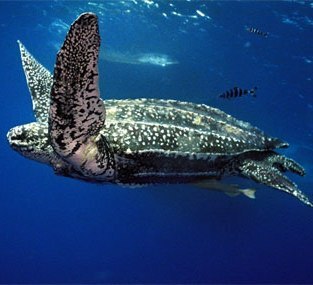 (Guardian): Beachgoers are being asked to look out for endangered leatherback turtles which are currently visiting UK waters to feed on the huge numbers of jellyfish. The Marine Conservation Society (MCS) wants the public to report any turtles they see during August, the peak time to spot the creatures in UK waters, to see if there are any hotspots for them or areas where conservation measures are needed. MCS specialists say the turtles are arriving from their nesting grounds in the Caribbean to feed on jellyfish, numbers of which, they believe, are rising, potentially providing more food for the critically endangered species. This year, the Irish Sea in particular has been "turtle heaven" because of the huge numbers of jellyfish there, said Dr Peter Richardson, MCS's biodiversity programme manager and turtle specialist. There have already been a dozen sightings, compared with a recent average of about 20 turtles a summer – but in a good year as many as 60 or 70 animals may be seen. (CNS): A summer literacy programme that targets students before reading problems begin has been lauded as a great success and will be used during the regular school year to support students at risk of literacy failure, officials have said. The education minister believes the effect of providing such early support for students is immeasurable and the programme is a strategic approach that will pay dividends well into the future. “Research demonstrates that catching readers before they fail offers more success than remediating them afterwards,” said Rolston Anglin. “A recent UK study shows that their illiteracy costs exceed £1.4 billion. Though the expense may be lower in Cayman, it is still vital to provide quality early intervention – particularly since this approach can provide substantial savings,” the minister added. During the recent summer programme, teachers used the Fountas & Pinnell Leveled Literacy Intervention kit, a supplementary tool designed to help educators provide powerful, daily small-group instruction for children in younger grades. 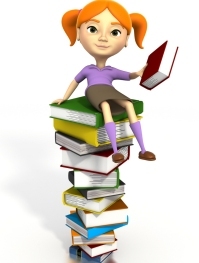 The tool has three systems with lessons progressing from beginner reading in kindergarten to beginner reading in Year 2. Officials said that lessons include a combination of reading, writing, phonics and word study, with specific work on sounds, letters and words, in activities designed to help children notice the details of written language. It also emphasises comprehension strategies and vocabulary expansion, while providing opportunities for students to write about reading so they can learn a variety of writing strategies. Maggie Hurley, a teacher at John A Cumber in West Bay, said she had seen students become more fluent and confident in their reading abilities when using the programme. “This is happening over a short period of time. It’s a clear and concise programme which builds on students’ prior knowledge. Once teachers and students are consistent in their implementation, success will follow. It’s easy to use and needs very little preparation as all lessons are clearly laid out. You just open the book and go,” she explained. The education department said parents have also commented on the programme noting that their children are showing progress. Playing a key role in the programme’s success is PricewaterhouseCoopers (PwC). The company donated two of the Fountas & Pinnell Leveled Literacy Intervention kits used during the summer programme.